Aguarecords® Productions specializes in professional music soundtracks for television, films, videogames, commercials, radio, internet and all network multimedia formats. A wide range of musical compositions with high definition sound. Creative recording, mixing and mastering studios based on Apple computers and high definition multimedia systems like ProTools HD, Logic X and Final Cut X. Music Direction, Music and Audio Post-Productions, Audio Mixing, Audio Mastering, Web Designs, Art Work and Multimedia Videoclips. From 2015 the new Aguarecords® Films department is dedicated to Music Soundtracks productions, 5.1 Dolby AC3 Surround Sound Mixing/Mastering and Color Grading services for featured films, short films series and videoclips. Music Publishing department is available upon Vaona Music Publishing. Book Publishing department is available upon Aguarecords® Books Publishing. The special Aguarecords® VIP Lounge private club is available for exclusive members/clients only. 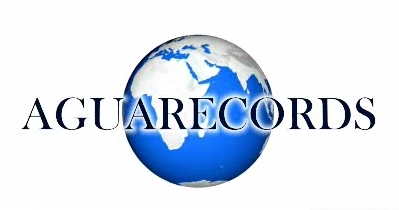 With the new digital solutions and "cloud servers" systems Aguarecords® is now available worldwide and collaborates at an international level. For more info about our work, see CREDITS page.